What’s going on in healthcare? How will changes in technology, law, and demographics change the type of care hospitals give—for the better, or the worse? 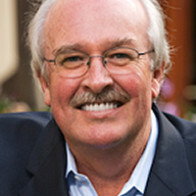 Healthcare keynote speaker and top healthcare futurist, Ian Morrison, has the answers. He examined the current climate of the industry and found 10 healthcare trends that will be shaping our doctors, hospitals, and insurance providers in the future. The following trends were abstracted from his original article: read Morrison’s full article here. Every health system I’ve ever worked with is trying to grow. The primary vehicle is not growth through acquisition (although mergers do continue) but organic growth from (1) increasing market share in primary service territory for key service lines and (2) extending into geographically contiguous markets by planting footprints such as ambulatory care centers or primary care physician networks to capture referrals from competitors. Healthcare administrators are recognizing that they need to pay better attention to consumer decisions. Increasingly, consumers have high-deductible plans and more responsibility to select plans and providers and to decide on patterns of care (including forgoing care because of cost or seeking out lower-cost alternatives). Health system leaders are focusing on engaging consumers by establishing convenient locations, flexible hours of operation and creative use of new consumer-facing technologies. Health systems such as Providence have been pioneers in this area. In every strategic plan I have seen in the last five years, physician relationships are among the top three priorities. This takes many forms. Much of the focus is on both clinical and economic integration with physicians to improve care performance and enhance provider loyalty. While not every health system is on the path to formal vertical integration such as Kaiser’s, almost all health systems have embarked on some form of economic integration with doctors. It has been almost 20 years since the Institute of Medicine recognized patient safety concerns in its landmark To Err Is Human report. Critics argue we have made very little real progress in two decades, despite significant attention to the problem. But I take a more positive view: My experience is that every health system has put quality and patient safety high on its strategic agenda. Each picks an “operating system” or strategic framework for quality, whether it be Lean, Six Sigma or High Reliability. The systems develop focused initiatives within this broader framework, such as falls prevention or reducing health care associated infections. They select specific measures and develop an accountability path to monitor progress and take corrective action. And they develop governance frameworks (whether it be clinical councils, as in the case of Memorial Hermann in Houston, or “physician compacts,” as in Seattle’s Virginia Mason) to engage physicians directly in governing the activities of clinical improvement. Over the last decade, partly as a consequence of investment under the Health Information Technology for Economic and Clinical Health Act, American health care has come into the digital age—electronic health records in hospitals and physicians’ offices have become ubiquitous. The EHR has become table stakes for care delivery. Almost all health systems have a value-based culture that is manifestly important to the mission of the organization and guides the strategy and behavior of the organization. Many systems are faith-based and guided by the principles and values of their religious sponsors. Many systems have adopted Don Berwick’s Triple Aim as their north star. Other systems such as OhioHealth or Atlantic Health strive to be a best place to work in their community and benchmark themselves against other leading national employers. Across the country, health system leaders are passionate about creating an engaged workforce, and are building respect, reliability, retention and resilience among their employees. As financial pressures intensify, with public payment rates likely to be constrained over the long haul and private purchasers concerned about their cost for health care, health systems are trying to work on their underlying cost structure and identify opportunities to improve value and affordability for various customers. But each stakeholder sees value somewhat differently. Most health systems have identified three or four top critical priority areas; however, in my experience, it always ends up being the same three or four: orthopedics, cancer, cardiovascular and neurosurgery, which happen to be where the money is. Very few hospitals claim to be specializing in morbidly obese patients with behavioral health issues or the frail elderly or care for the homeless. Just sayin’. All health systems have a strategic priority for financial stability or financial stewardship. As the cliché goes: No money, no mission. Every health system must obsess over the financial hydraulics of payer mix (managing the relative balance of unprofitable Medicare and Medicaid business against more profitable commercially insured patients). As public payment grows because of an aging society and widening income inequality, health systems are anticipating a tightening financial future, a future that would be even tighter if coverage is eroded. The one approach with a significant variation in strategy is population health and overall risk-bearing strategy. I have written at length on both of these, most recently about population health, so I refer you to a previous column. Health system leaders diverge in their attitudes toward risk bearing. At one extreme are those who want no part at all of risk bearing in any form beyond modest pay-for-performance incentives. (This may be a third to a half of all hospitals in the country, according to Nielsen/Harris surveys.) In the middle of the spectrum is clinical integration, where administrators are beyond dabbling and are making very serious efforts to integrate with physicians to contract with health plans – and to embrace improvement in clinical performance on a systematic basis with an aligned medical staff.